Brew ratio is the heart of any espresso recipe. 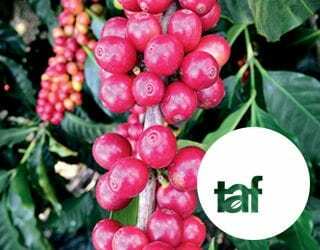 But are you confident in your ability to control it to get the best possible shot, whether you have a fruity Ethiopian or a chocolatey Brazilian on the menu? Do you understand its relationship with flow rate, consistency, and pressure? And are you following the best practices for consistent brew ratios? 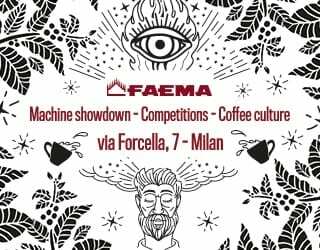 I reached out to Danilo Lodi, a World Barista Championship judge and Brand Ambassador for espresso machine manufacturer Dalla Corte, to find out the answers to all these questions and more. Read on to discover what I learned. 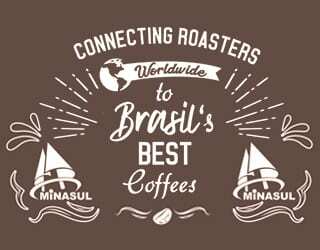 Lee este artículo en español ¿Cómo Controlar El Ratio De Preparación Para Un Mejor Espresso? Danilo explains that brew ratio is the relationship between the amount of coffee that you put inside the portafilter (the “dose”) and the mass of the resulting beverage (the “yield”). For example, if you put 20g of ground coffee inside the portafilter and pull a 40g espresso shot, you’ll have a brew ratio of 20:40 or 1:2. However, Danilo recommends using percentages instead of a traditional ratio. Let’s imagine that your recipe uses 20g of dry coffee for 45g of brewed coffee – a 1:2.25 ratio. That’s hard to measure. On the other hand, this ratio works out to 44% (rounded to the nearest whole number). For Danilo, this system will lead to fewer inaccuracies. Knowing the brew ratio is useful for measuring and describing espresso extractions. 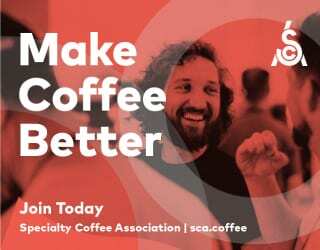 But how can you use it to improve your espresso? It’s your job, as a barista or café owner, to work out the best brew ratio for your menu. 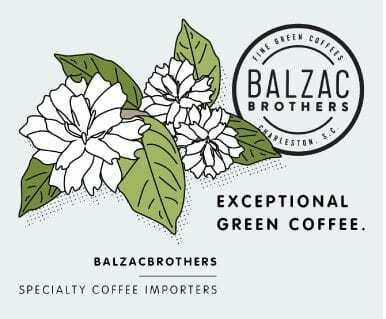 It’s not always easy: it will vary according to the coffee, your customer’s preferences, and more. 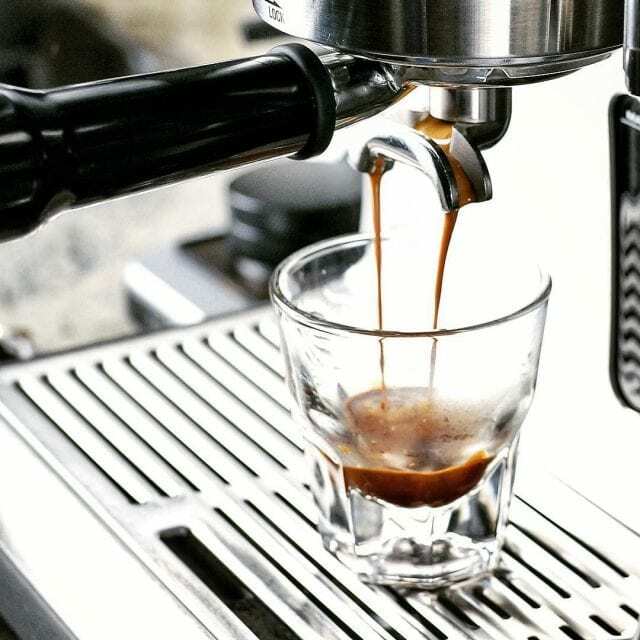 A low yield and high dose (such as a ristretto) lead to a more concentrated, full-bodied, acidic, and less sweet beverage. 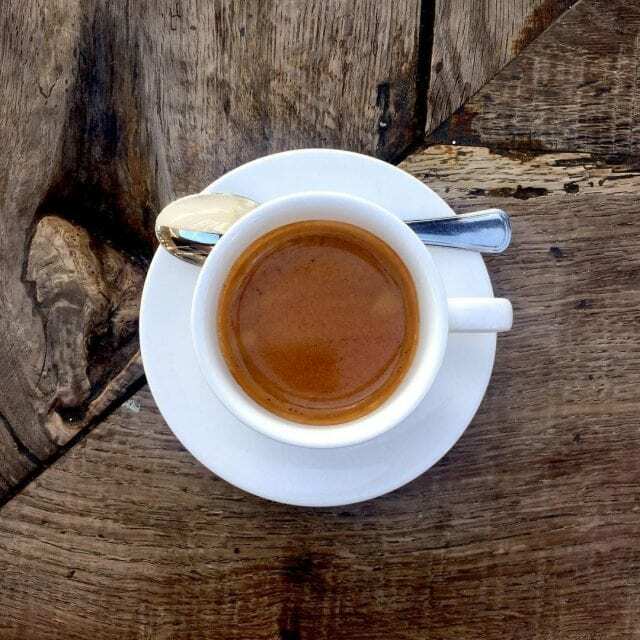 The classic espresso (or normale) should be balanced and well-bodied, with good sweetness and acidity. 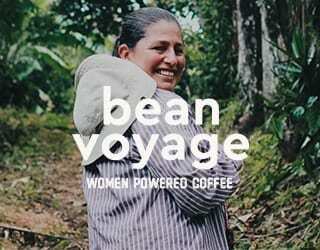 High yields, such as with the lungo, are more diluted and generally low-bodied. 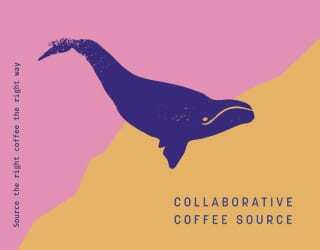 They can sometimes taste bitter, if they end up being over-extracted, although other people celebrate them as a way to demonstrate a coffee’s complexity. Fast extractions (15 to 20 seconds) result in acidity, reduced sweetness, and high bodies. “Standard” extractions (21 to 35 seconds) tend to be sweet, acidic, and well-bodied. Slower extractions (36 to 40 seconds) can be bitter and low-bodied. However, sometimes extraction time can be a false friend, tricking you into thinking that you have a certain yield when, actually, you don’t. More on that to come! The “best” brew ratio will depend on a lot of factors. Many people would consider 1:2/50% a standard espresso. 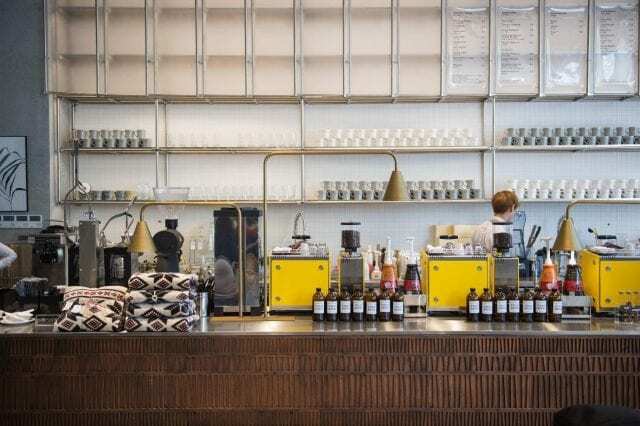 Yet as third wave coffee culture has evolved, you’ll find a wide range of brew ratios in use to suit people’s tastes. 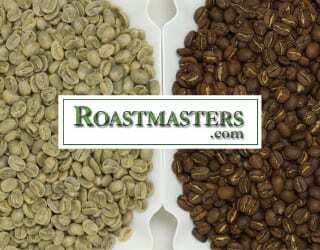 What’s more, since every coffee is different, the best ratio will vary according to the origin, roast profile, and more. 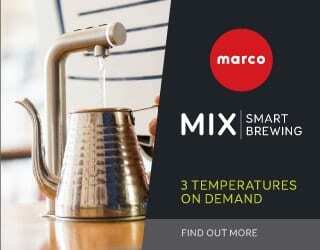 To master brew ratio and create the best recipes, you will need to experiment. Start out with a 1:2 or 50% ratio and then slowly begin adjusting it. Make sure to keep everything else constant for the most useful comparisons. Pay attention to extraction time, taste the espresso, and take notes. 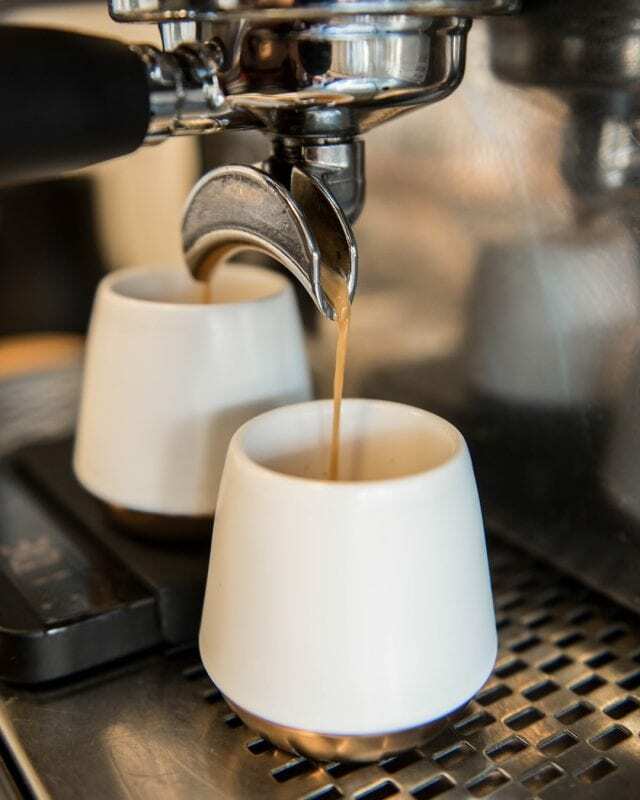 Over time, you’ll develop an understanding of the complexities of brew ratio and how to play with it to match both the beans and the desired cup profile. And then your next challenge will be successfully monitoring and replicating it every single time. There’s no point working out the perfect brew ratio if you can’t accurately create it, and then recreate it time and time again. 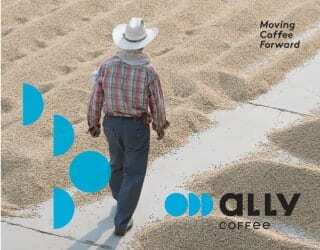 You need to have the exact dose of ground coffee and the exact yield for every shot. Good equipment will help you here. 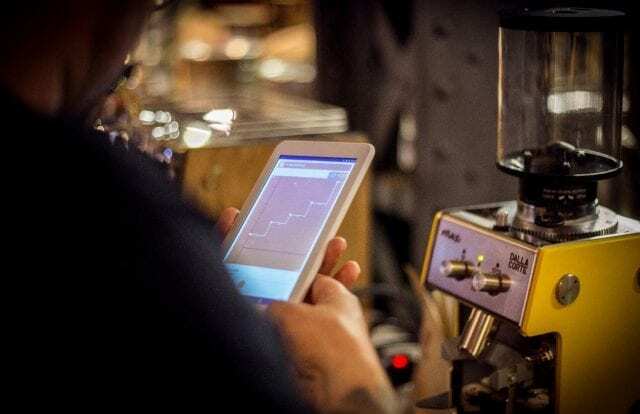 Grinders with on-demand dosers will grind a set dose directly into the portafilter; the team at Dalla Corte tell me that high-quality grinders, such as their DC One, will recognise whether it’s a single or double dose automatically. If you don’t have an on-demand grinder, it’s important to weigh your grounds. A high-quality scale is key to consistency. Again, choosing a reliable machine is crucial if you want consistent shots every single time, especially in high-volume shops. Without this, you’ll have to carefully weigh each shot to be sure of your dose – something that can slow down operations, increase the risk of human error, and require you to purchase additional equipment. 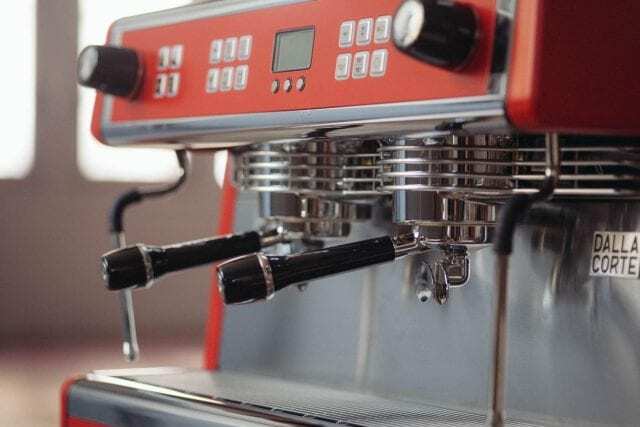 Danilo recommends using a volumetric machine, such as the Dalla Corte Mina. He explains that, with these machines, you get exactly the same amount of water every single time. Another option could be to rely on time and pressure to ensure you have the right yield. However, this only works if your machine has excellent flow consistency. Let’s break this down a little bit. Flow rate is the amount of water that flows through a machine during a certain time, typically affected by pressure. But it’s different to flow consistency. As Danilo explains, “Flow consistency is the amount of water that comes from the group head during your extraction. People tend to think only about pressure when we are talking about the flow rate but, actually, the amount of water coming out is different. 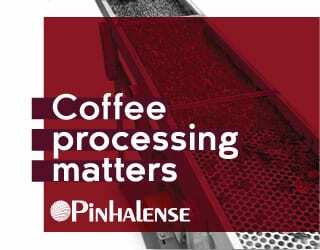 In low-quality machines, a lack of flow consistency can cause significant issues with extraction. 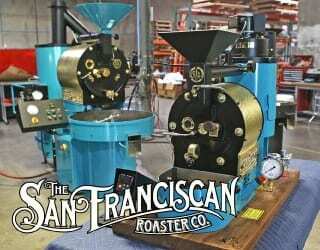 But in high-quality machines, it’s a useful tool for improving that extraction. With the Dalla Corte Mina, Danilo varies water flow for greater control over coffee extraction and pre-infusion. What’s more, he tells me that machines that just measure pressure don’t take counter-pressure from the coffee puck into account. As of such, focusing on flow rate and volume can increase accuracy. Brew ratio: it seems simple. It’s just the relationship between the amount of dry coffee you use and the amount of brewed coffee you produce. But when you start exploring this topic, you discover that it’s much more complex. 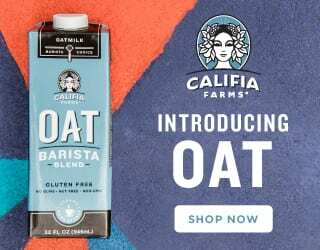 It can dramatically improve your espresso shots. Playing with it enables you to create different flavor profiles for different coffees and different customer palates. 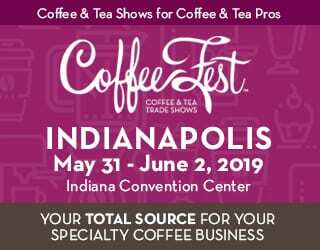 And, when we step away from calculating it through time and pressure, and instead focus on accurate measurements of water and coffee, it opens the door to even more control over our espresso extraction.